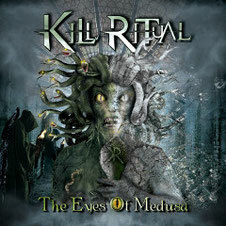 KILL RITUAL 2作目のアルバム "The Eyes Of Medusa"
US/Italian Thrash and Roller's KILL RITUAL will release their sophomore album "The Eyes Of Medusa" through GoldenCore Records/ZYX Music on April 4th 2014, following their debut "The Serpentine Ritual" was released in 2012. 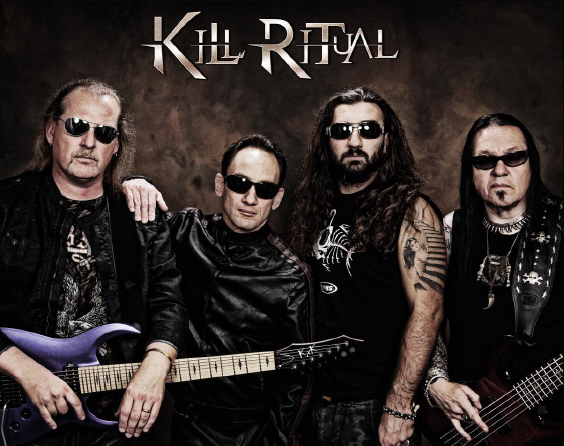 KILL RITUAL, formed in October 2010 by former IMAGIKA lead guitarist Steve Rice, began as a continuation of the music he has been working on before the demise of IMAGIKA. By bringing in the element of each members' musical background to KILL RITUAL, has been forged their original sound which classic and modern Metal meet. "The Eyes Of Medusa" was recorded at Fossil Sound (San Jose, CA) and Fang Studio (San Mateo, CA). Production/engineering were again handled by KILL RITUAL guitarist Steven Rice. Mixed and mastered by Steven Rice and Andy LaRocque (King Diamond, HammerFall, In Flames). Cover and Logo artwork were designed by Jobert Mello with Sledgehammer Graphix (Sabaton, Primal Fear).